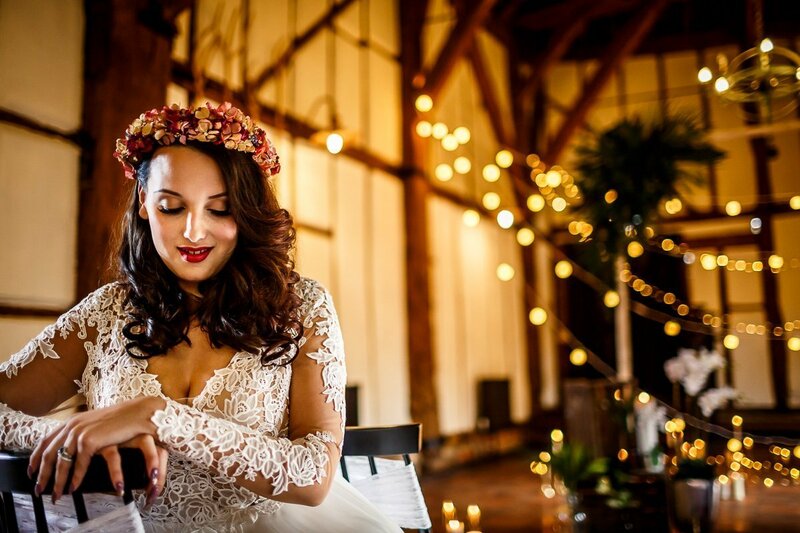 Cuban Dreams is about rich, earthy tones with a nod to the alternative bride and groom. 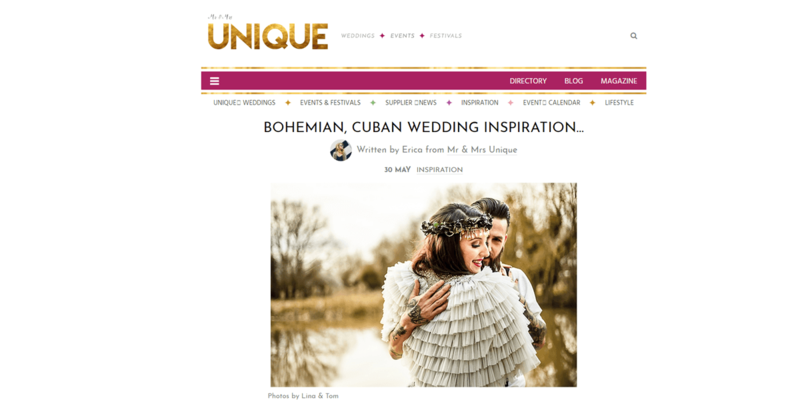 Capturing the spirit of Cuba is about being your true self – to choose a one of a kind wedding dress, adding vintage touches to the groom’s style, showing off your tattoos and letting your rock and roll spirit shine! 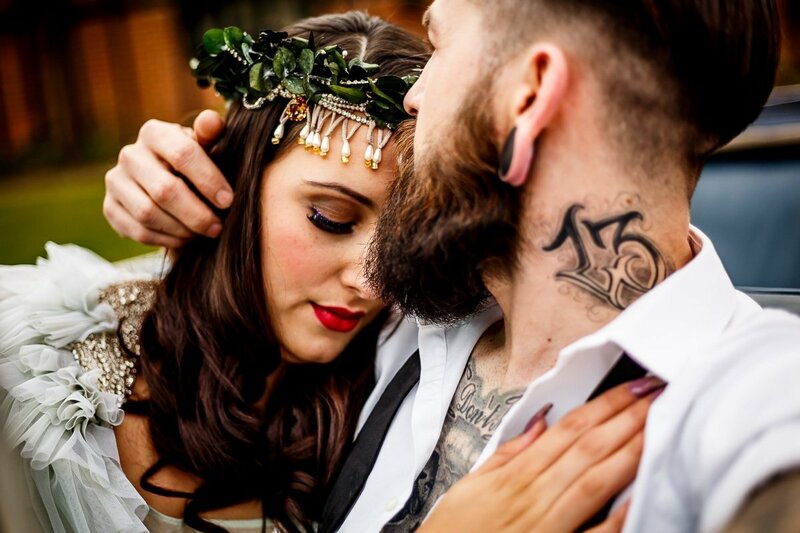 The ‘bride’ in the shoot wore a traditional lace gown by Lilian West, accessorised with a plush floral crown by Love from Becky, vintage peep toe shoes and her fantastic tattoos. For the ‘reception’ we chose stunning Sharon Bowen-Dryden separates, embroidered with green flowers and accessorised with a glimmering beaded hair crown – another fantastic piece by Love from Becky . A ruffled wrap completed this boho look, and it’s perfect for keeping chills away if you don’t have Havana’s weather. Forget the traditional tailcoats and tuxedos, a Cuban groom breaks the mould! Our ‘groom’ chose a slick white suit jacket styled with a black bow tie, later opened up at the chest to show off his tattoos. 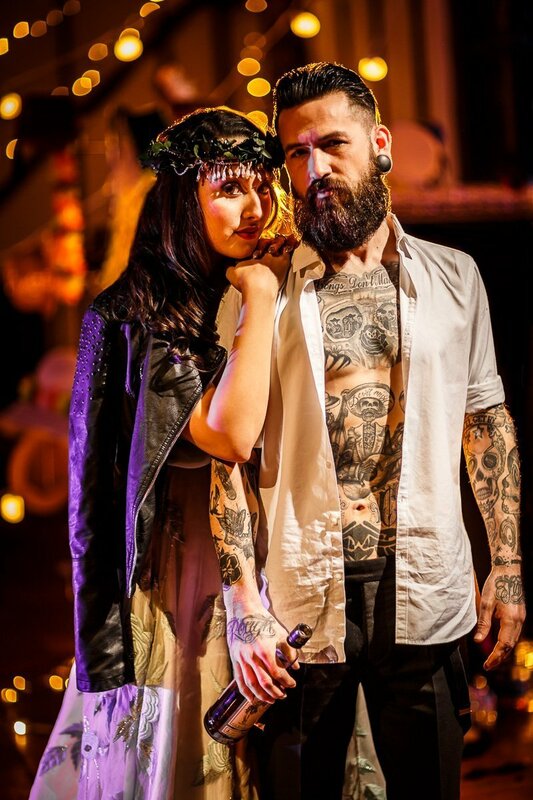 We wanted him to stand out from the crowd, and our bearded, tattooed model worked so well for the shoot. The true Cuban spirit is about individuality. 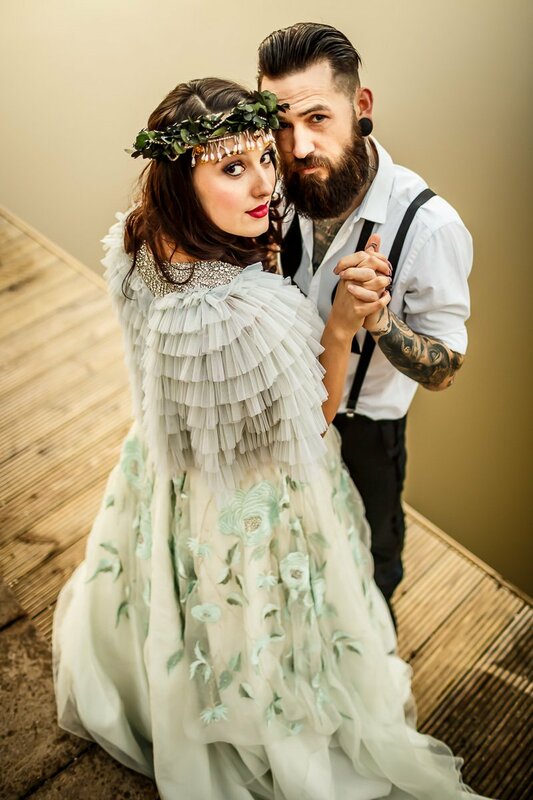 Don’t be afraid to try a new style for your wedding day. The Cuban theme comes alive when you add in the wedding décor – leafy ferns, plush pink flowers, deep red roses and festoon lights. Our stylist, Gemma from The White Emporium, did such a fantastic job sourcing vintage china and the perfect red candles to complete the look. What’s perfect about the Havana-inspired theme is that you can go all in or just have a nod to Cuba on your wedding day. Choose rich red tones for your table settings or incorporate an alternative twist to your bridal gown, or arrive in style in a vintage car. 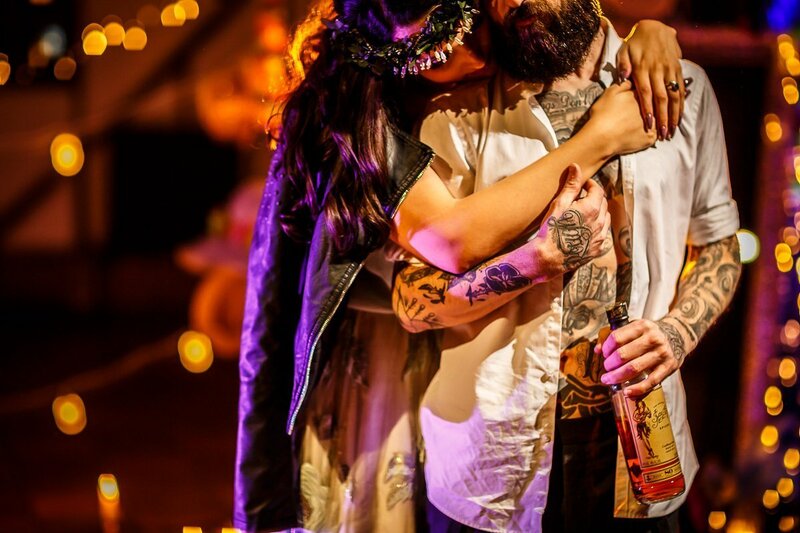 It’s perfect for couples who’d like to create memories to last a lifetime, for those with an alternative look on life and couples who like to break from tradition. 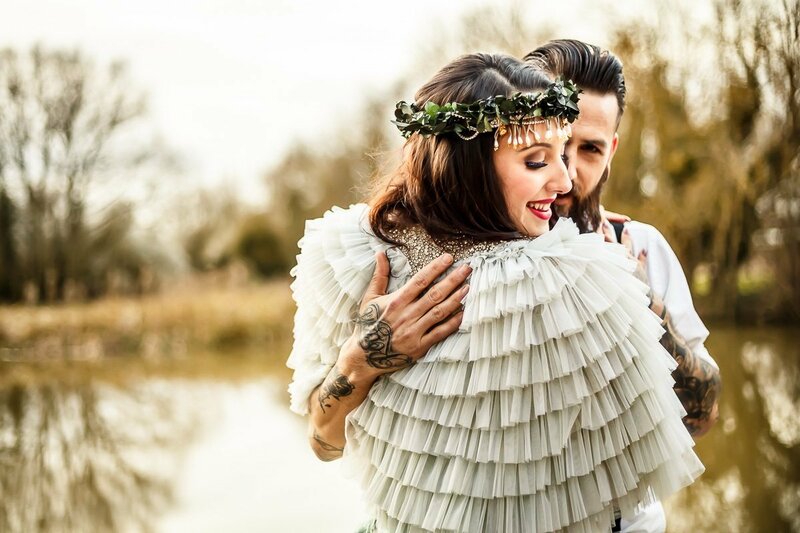 We were delighted the shoot was also featured on the brilliant Mr and Mrs Unique blog – where you can read more about this fab shoot.